Philip has been the pastor of Ebenezer since 2001, but he is no stranger to Ebenezer, having been a member of the church when he was a college student in the late 1980s. His path into the ministry took him into a career first as a nuclear engineer. After earning a Ph.D. from Texas A&M University, he served as a consultant for a number of years for the federal government and private clients and also worked in the corporate offices of a nuclear utility. He's always been a student of the Bible, though, and God prepared him for the time when He would call Philip to Ebenezer. He and his wife Judy and their four children Jonathan, Caleb, Aaron, and Julia love the church and want to serve the Lord in whatever way He leads. 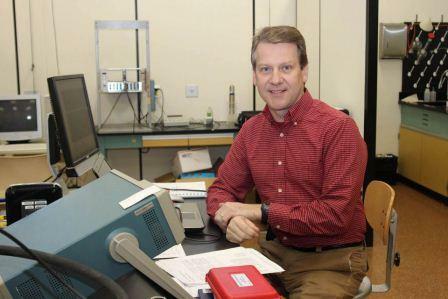 Philip also serves as associate professor of physics at Francis Marion University in Florence, SC, and it's not uncommon for Bible lessons at Ebenezer to take on some scientific significance as he shares the wonders of God's creation from the perspective of a physicist. Our church is also served by the Boards of Stewards and Trustees. These men meet monthly with the pastor to consider the spiritual and administrative areas of the church and have a heart for serving the church and the community.